I’ve received a lot of questions from ladies wanting to know how my 8 quart Instant Pot has worked out for our large family. 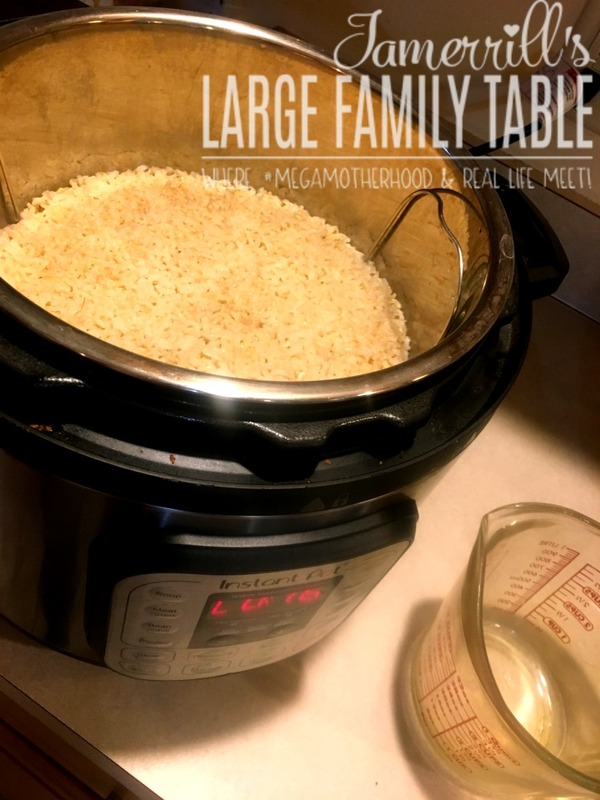 In an effort to bring helpful tips for mommas in the throes of dishing out tons of large family food I plan to start sharing more about my large family Instant Pot and electric pressure cooker recipes. 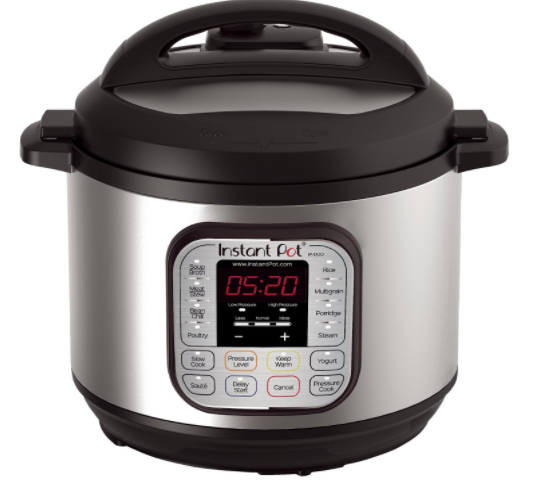 Here’s my Amazon affiliate link to see the exact 8 Quart Instant Pot I bought in 2017. 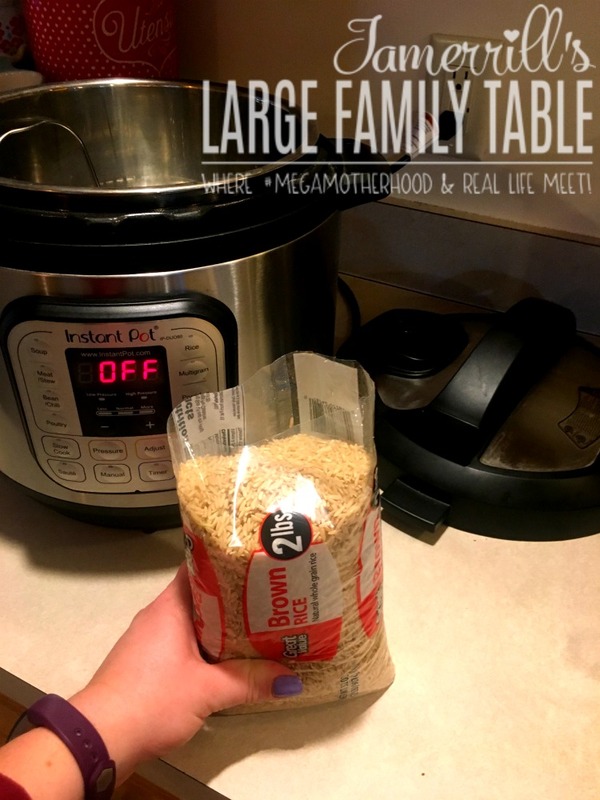 The first large family Instant Pot recipe I’m sharing with you is one of the first ones I learned last Spring, how to make brown rice in the Instant Pot. 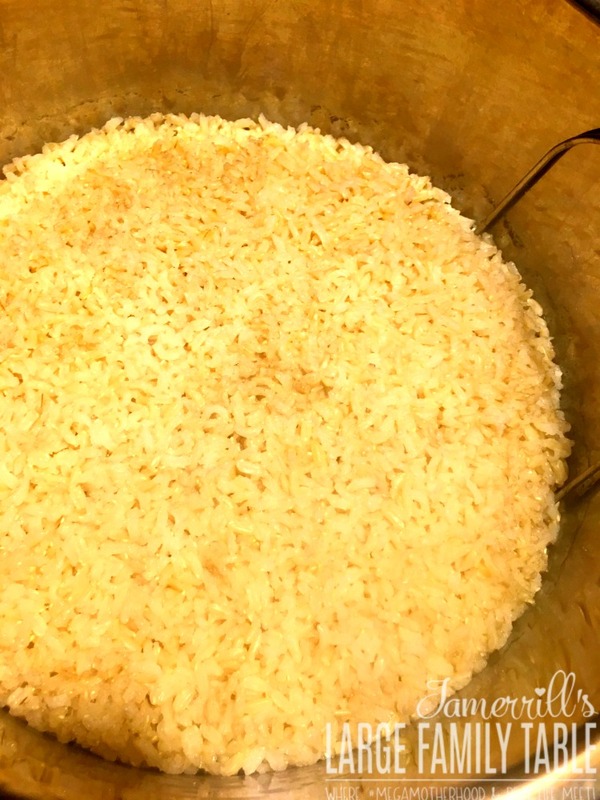 If you haven’t made rice in your Instant Pot yet you’ll love how it turns out! If you don’t have an Instant Pot yet you might be interested in making brown rice in the slow cooker. 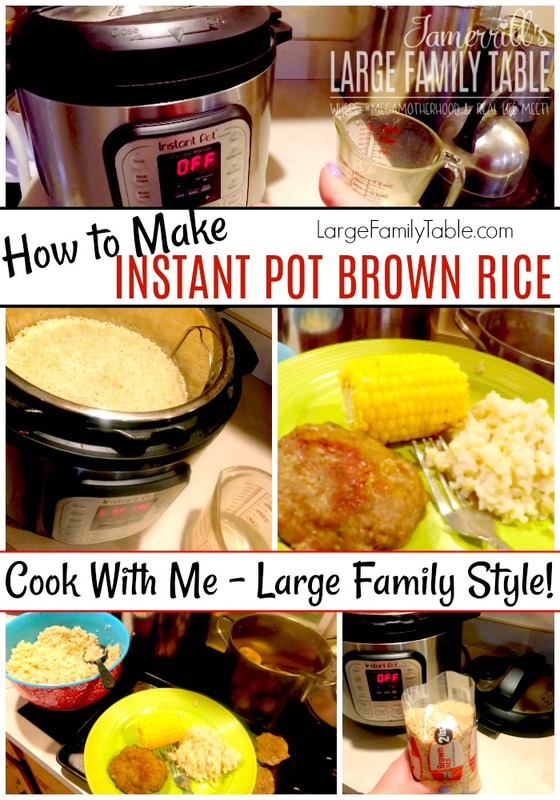 How to Make Instant Pot Brown Rice – Large Family Style! This large family Instant Pot recipe makes around 8 cups of cooked Brown Rice. This Brown Rice is perfect as a healthy and hearty side dish or can be used to create many additional large family meals! In clean Instant Pot add 4 cups of rinsed brown rice. Next, add 8 cups of water to your rice. Close and seal your Instant Pot according to manufacturers instructions. Make sure the vent is set to sealing (not venting). 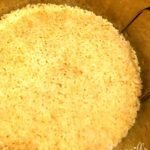 Press the “Rice” button on your Instant Pot – yay! Note: My IP takes up to 10 minutes or so to build up pressure. Pressure cooker times may vary. Once pressure is built up the rice cycle will run. Once the rice cycle is complete, turn the pressure knob on the lid from sealed to venting. Do so carefully with a pot holder or even wooden spoon and make sure no children are around because hot steam will release for several minutes. Once venting cycle is complete you can carefully remove your Instant Pot lid (again careful as steam will still come out, and everything is hot!). Put your rice into a separate bowl and add salt, pepper, butter, or choice seasonings per personal preference.